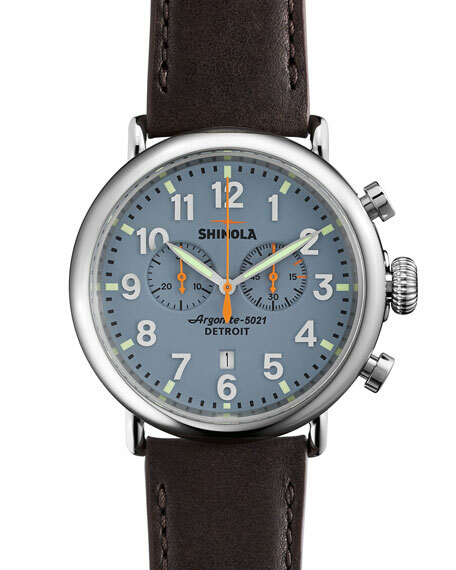 Shinola Chrono watch from the Runwell Collection. 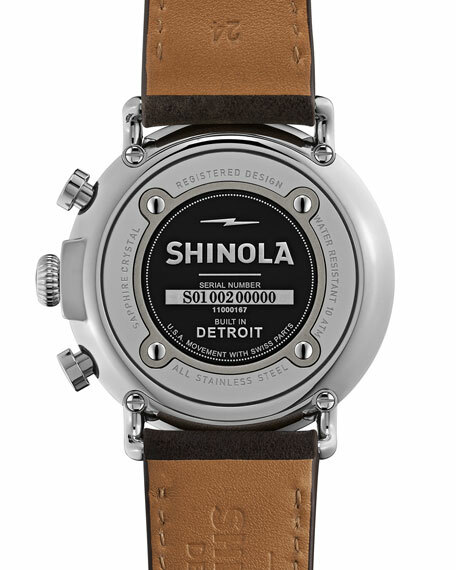 Water resistant up to 100 meters (10 ATM). 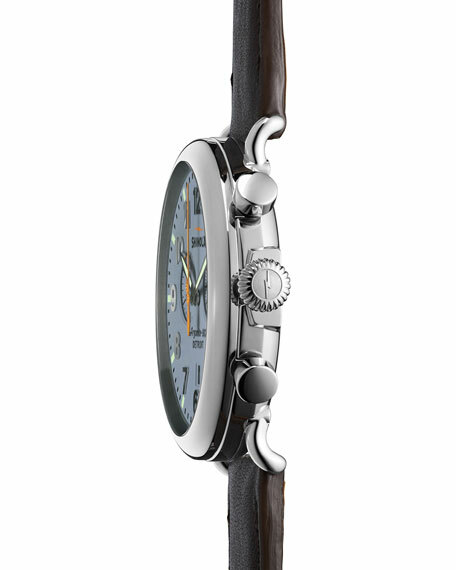 Assembled in USA of Swiss material.